From BC: We have decided to reschedule our Partner School Football Night for October 05, 2018. 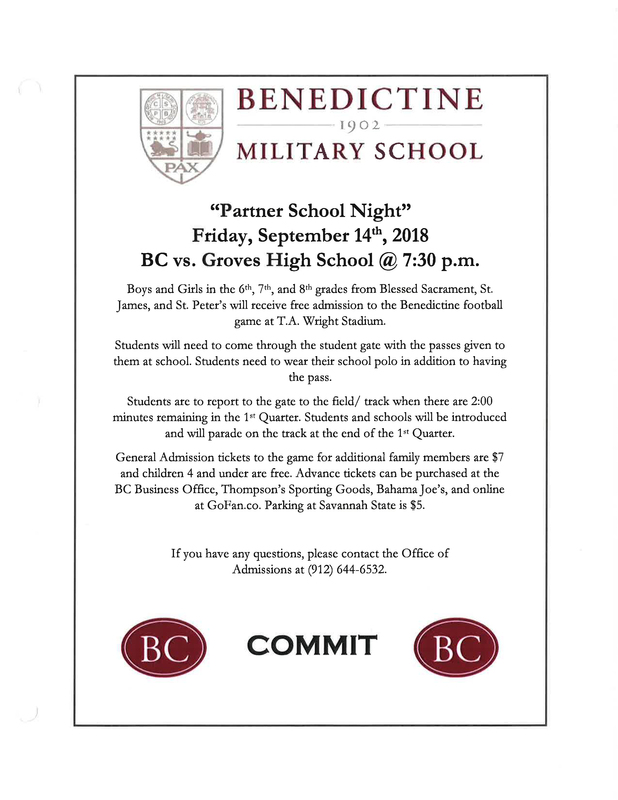 PLEASE JOIN US, October 5th as BC hosts “Partner School Night.” 6th, 7th, & 8th grade students from BSS, St. James and St. Peter’s are invited onto the field and to participate in the spirit parade. Let’s show our Irish Pride! GO IRISH!